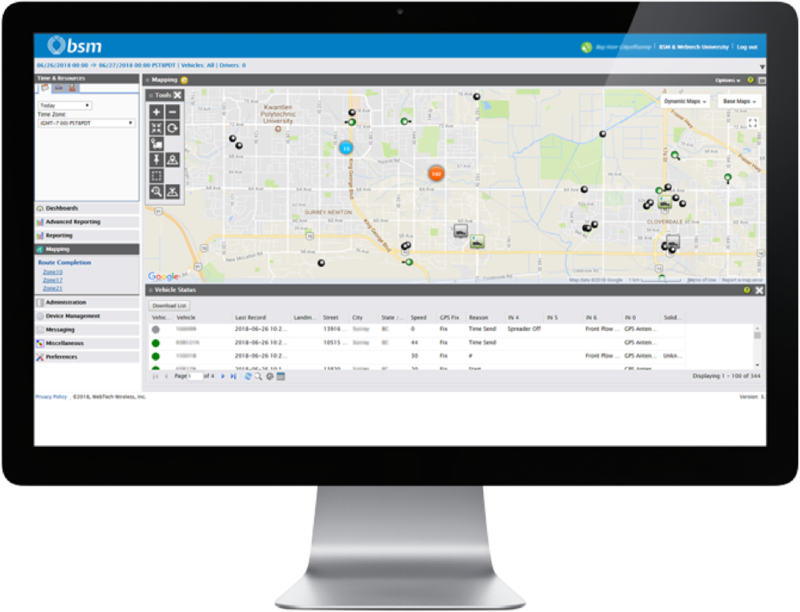 BSM’s trusted end-to-end solution is highly configurable and provides you with a one platform solution to monitor all of your fixed and mobile assets in real-time. Access data when and where you need it and receive actionable insights through our advanced data-analytics tools. Connect what counts and turn data into actions. A 360-degree view of your entire operation, on one platform. Track an unlimited number of assets, both mobile and fixed, on the same user interface. Provides location updates down to a 10 second intervals. 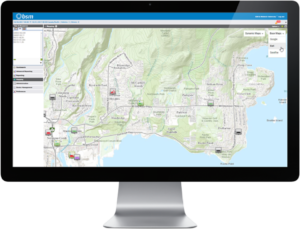 View your fleet on map overlays for better clarity. Map layers are placed on top of Google Maps and can include customer data, GIS data, and Esri data. Configure the visual status indicators on the vehicle pane to reflect the nature of their usage. Simply select the vehicle(s), date(s), and time(s) in question, and watch the playback on the map. Access 18 months of data online. Then data is stored indefinitely in BSMs archives and accessible through technical support. Quickly see the performance of your fleet, through this high-level overview. 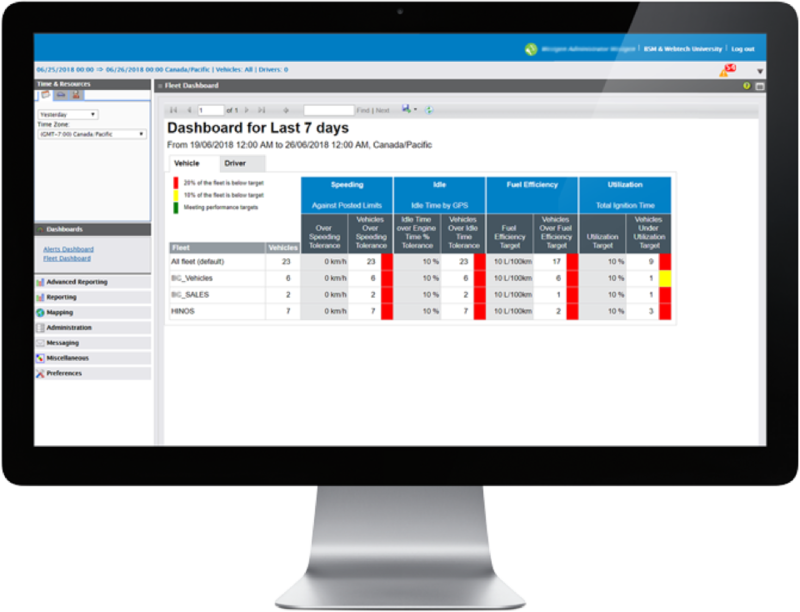 Multiple dashboards allow you to monitor the health of your fleets and the performance of your drivers. Create and share a wide range of data-points, concisely summarized and easy to view. Optimizing your fleet’s operations can lead to dramatic reductions in cost. With access to our powerful analytical tools, you will be able to do just that. 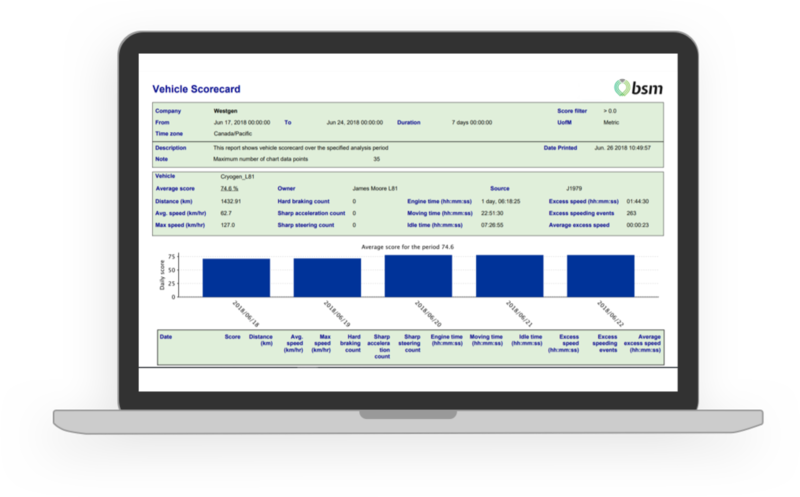 Discover which drivers and what driving habits are leading to excess cost by running reports, such as historical vehicle speeding, harsh braking, rapid accelerations, sharp turns, etc. Increase your productivity by ensure that your mobile and fixed assets are where they need to be, when they need to be there, through visual location view or with customizable geozones or landmarks. Set minimum acceptable scores for driver performance. Access the push-to-talk tool for in-vehicle driver feedback and coaching. Setup automatic alerts for violations – speeding, idling, and stop violations and configure different thresholds by vehicle. View your driver’s driving habits. Flag behaviours that are unsafe or increase the wear-and-tear on your fleet. Determine if a driver needs more coaching or training. Run reports on total distance travelled, travel time, number of stops, stops in landmarks, total idle time and last location. View data on historical speeding, including speeding against profile limits, speeding against target limits and speeding against posted limits. Confidently plan for preventative maintenance by receiving notifications when service is due on your fleet vehicles. Retire vehicles reliably when maintenance costs exceed usage upside, by tracking engine hours & mileage. Immediately identify vehicle issues through diagnostic trouble code alerts. These instant notifications, which include the fault description and severity, enable administrators to action an accurate and timely fix. 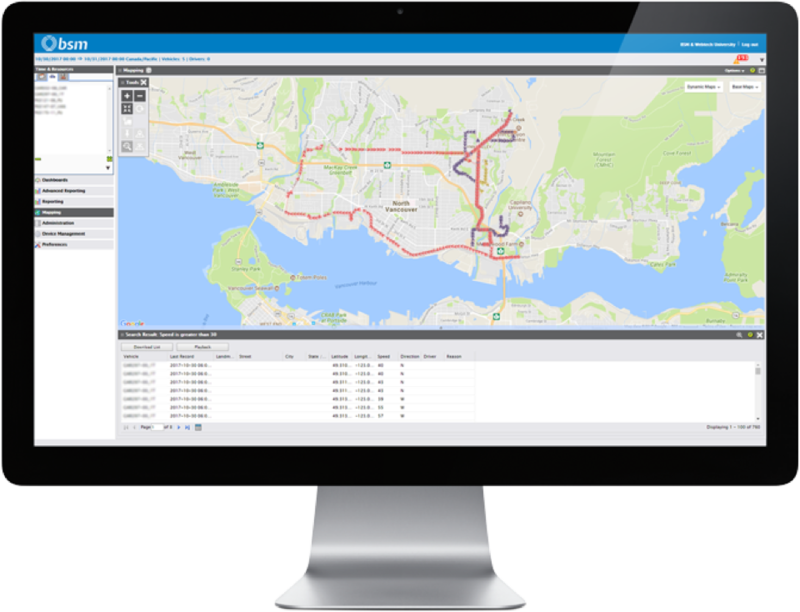 Locate areas of underperforming fleet through the numerous performance reports, such as fuel economy, C02 emissions, and more. 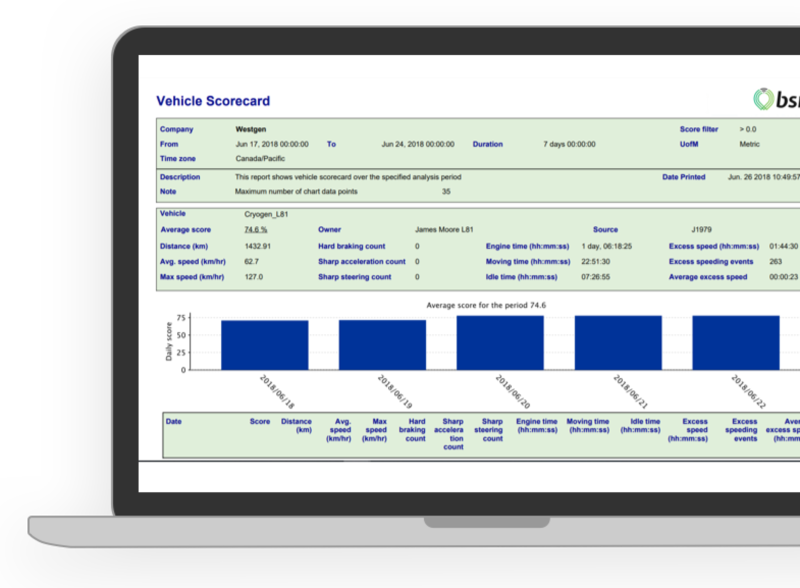 Determine what vehicle groups yield the lowest TCO with comparative reports on vehicle groups. BSM’s ELD Compliant solution is designed to help drivers and companies comply with the FMCSA’s ELD mandate. 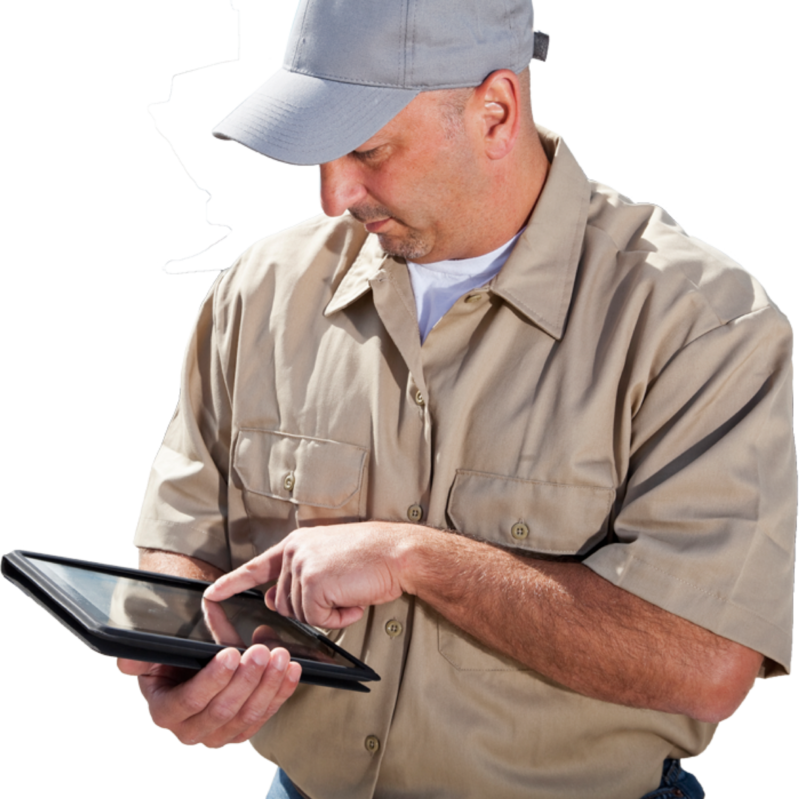 Drivers can use the mobile app to track their Hours of Service (HOS) and fill out Driver Vehicle Inspection Reports (DVIR). All information is accessible by fleet managers in the associated web app. Drivers can automatically generate fuel tax reports, saving both time and money. The app is compatible with Android and iOS tablets, smartphones, and MDTs (in-cab mobile data terminals). 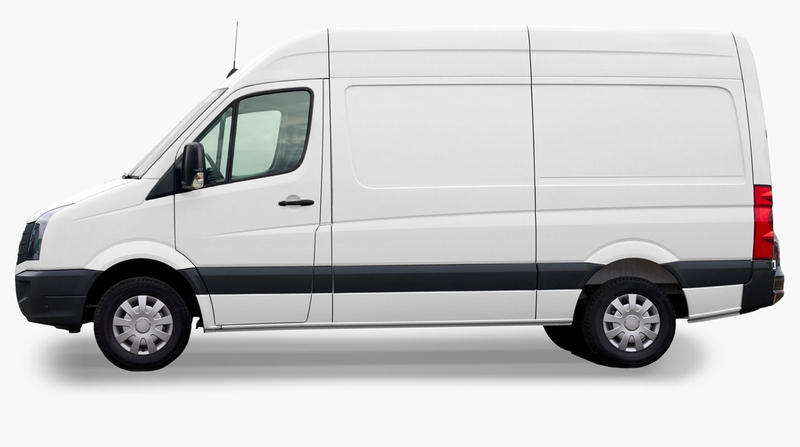 Retire vehicles reliably when it’s maintenance costs exceed their usage upside, by tracking engine hours & mileage. Immediately identify vechicles issues through diagnostic trouble code alerts. These instant notifications, which include the fault description and severity, enables administrator to action an accurate and timely fix. Locate areas of underperfomance fleet through the numerous performance reports, such as fuel economy, C02 emissions, and more. Determine what vehicle groups yield the lowest TCO. Comparative reports on vehicle groups. Attach an array of sensors to monitor any data that is important to your organization, this includes multiple smart cables for specialized vehicles and assets. 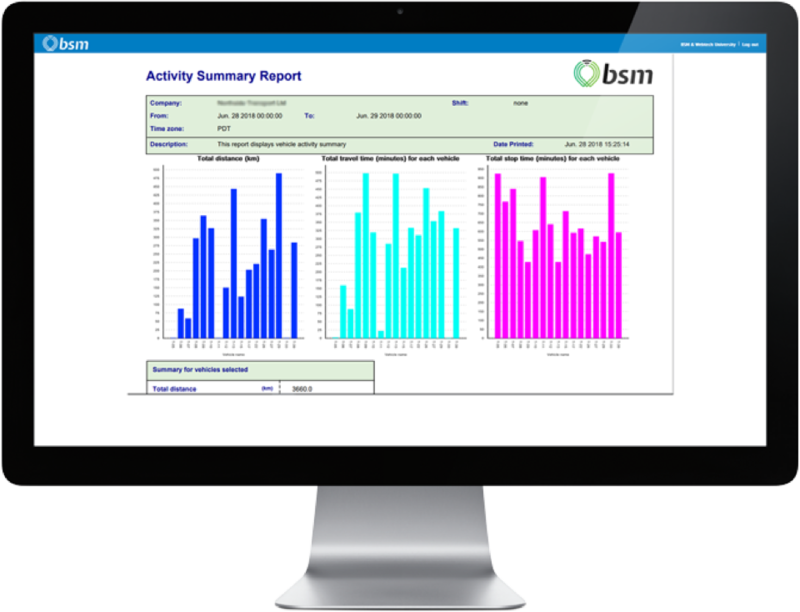 BSM 511 is a public-facing web-based solution that uses your data to provide real-time service level status updates to your constituents. 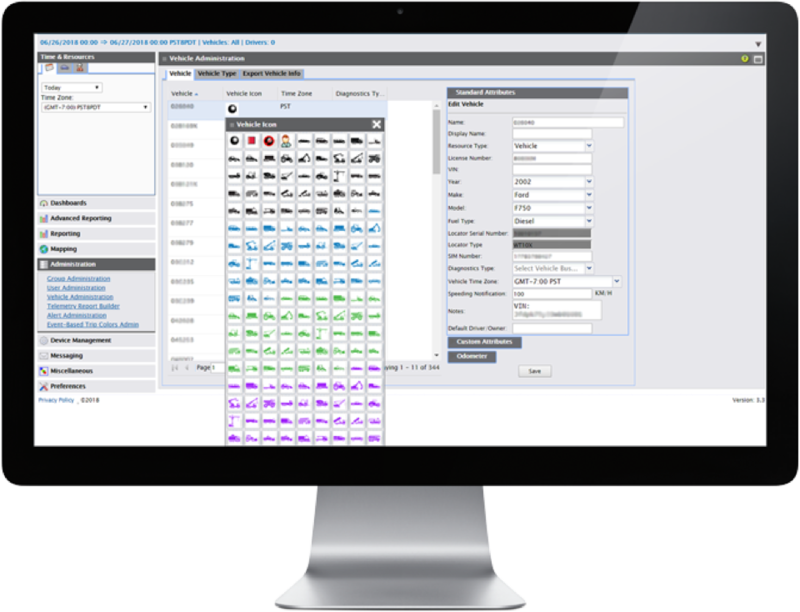 An easy-to-navigate system gives administrators the ability to manage all aspects of users, vehicles, groups, and login preferences. Verify whether inspections were performed in a timely and thorough manner. 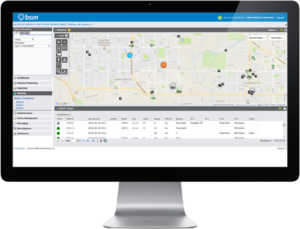 Image capture capabilities lets drivers visually report issues, so administration can start preparing for the right repair. Replay a vehicle’s route, including stops. Customize the interval time and display for the timeframe required. Access 24 months of data online. Then data is stored indefinitely in BSMs archives and accessible through technical support. Set geo-fences and markers around your sites and receive instant alerts. Match reports to your organization structure and KPIs. Applying threshold levels to hierarchies and set alerts. Easily group like vehicles and assets for easy monitoring by type. Configure the platform to match your organizational structure and match reports to your KPIs.